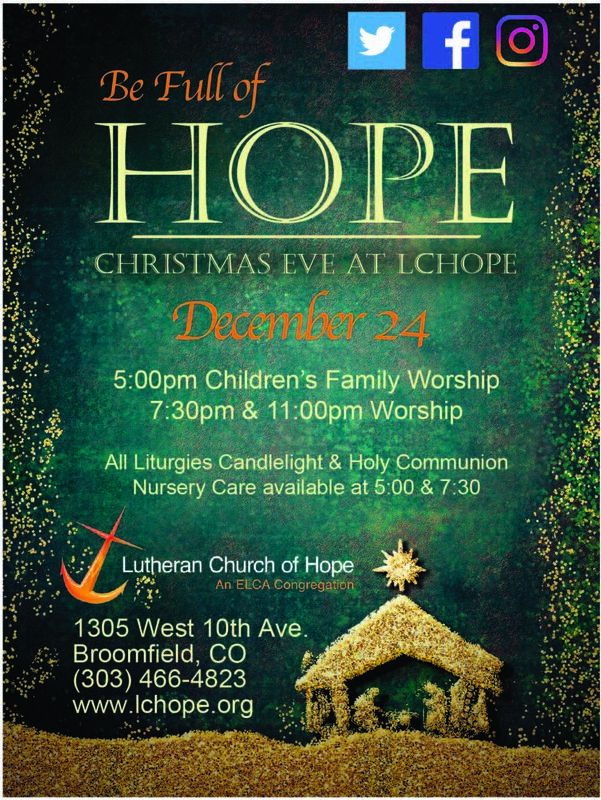 Please join us for Christmas Eve worship. No matter your color, faith, sexuality, gender, or social status, you are invited to spend an evening with Lutheran Church of Hope. Make LCHope your home for the holidays.